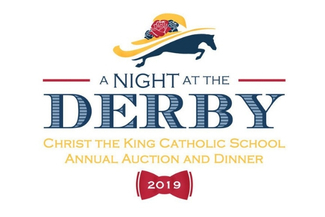 The Auction is a great way to get involved at CTK! Not only are you making an impact on your children's education, you also get the chance to meet other parents and feel connected to the CTK Community. Send personalized "Thank You" letters to our generous donors. This position begins in December and is ongoing throughout the auction season. Check in guests as they arrive and check out guests at the end of the evening. Auction house will train all volunteers the day of the auction. Remove items purchased at the "guaranteed purchase price" during the silent auction. After each silent auction closes, pull the bidder sheets and sort auction items by winning bidder for pick up at the end of the night. Procure desserts for the Dessert Dash and on the night of collect dessert bid forms from the tables and tally totals. Explain how the game works and assist table representative in selecting their desserts. Provide each table with utensils and plates.